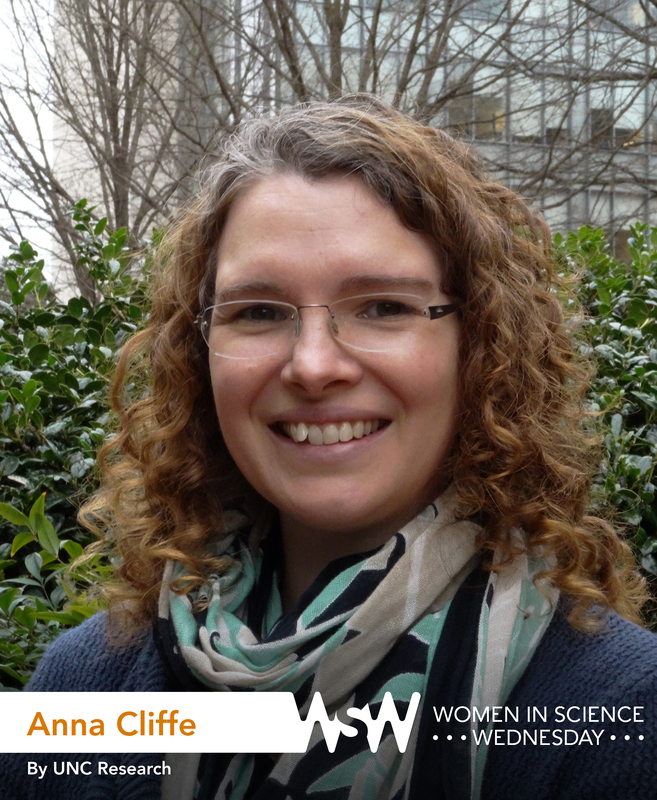 Anna Cliffe is a postdoctoral research fellow in the UNC Neuroscience Center in the School of Medicine. Her research focuses on the herpes simplex virus (HSV) and the effect stress has on reactivation of the virus. This actually comes back to my history classes at school, where I first developed a fascination with infectious disease when we learned about John Snow and his demonstration that contaminated water was causing a cholera outbreak in London. I then started reading popular science books about virus outbreaks and how they changed the course of history, from the role of smallpox in the fall of the Aztec Empire and the outbreak of the flu at the end of World War I. After graduation from university, I spent time doing voluntary work in Ghana, where I worked in a hospital clinic and on an AIDS awareness campaign. Seeing firsthand how viral disease impacts peoples’ lives, especially in a developing country, really solidified my desire to study viruses. What’s the craziest thing that happened while you were doing research? I once attempted to write a grant while at home with a newborn. In my naivety, I thought that babies slept all the time and I could easily write and take care of him. However, it turned out that I had a baby that never slept — if I was lucky, perhaps 15 minutes a day! In the end, I had to write in very short bursts in those brief periods of sleep. It was perhaps the most stressful thing I have ever had to do, but also helped me adapt to my new role as both a mother and scientist. I learned how to become more efficient. I’ve known many female scientists who spent a lot of time worrying about the future, in particular how they will be able to balance work and family. I would advise young scientists to not get distracted worrying about how to make it work and, instead, just do your best science and have fun. If and when you decide to start a family, you’ll make it work. And don’t necessarily wait for the “best time” work-wise.